Birthdays are inevitable, but feeling and looking old is not. This is our belief at The Center for Anti-Aging Medicine and Hormone Wellness. Regardless of your age, body type or gender, we can help you. Through a uniquely prepared regimen of bioidentical hormones, streamlined diet, nutritional supplements and a carefully structured exercise program, you can become the most viable you possible. You no longer need to put up with fatigue, chronic weight gain, hot flashes, insomnia, loss of muscle mass, skin and hair changes, and the myriad of other changes associated with the aging process or menopause. Please call today for your individualized consultation so we can get you onto your path of wellness. Listen to Dr. Peters' interview on the Wisdom Coalition podcast! You can stream or download the podcast with one of the links below! Join Dr. Peters at The Wisdom Coalition Renewal Retreat. Dr. Peters is a guest speaker and will be providing some tips for feeling young at any age. For details, see our News & Events page. Albert J. Peters, D.O., F.A.C.O.G. 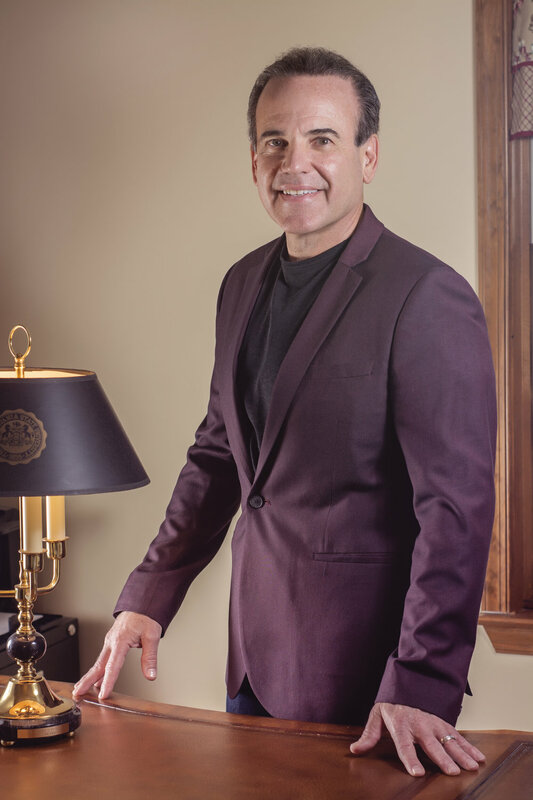 Dr. Peters has spent most of his 25 years in medicine as a board certified reproductive endocrinologist. During this time, his main focus was in vitro fertilization (IVF) helping couples who were unable to have children through simpler means. In addition, he has vast experience in academic work including teaching and scientific publication in peer reviewed journals. Dr. Peters also has taken care of many women with hormonal disorders including polycystic ovary syndrome, female acne and unwanted body hair growth as well as menopause. Along with his Western methodology his unique approach to patient care blends Eastern philosophies such acupuncture, yoga, and herbology. He earned his undergraduate degree from The Pennsylvania State University followed by his medical degree from The Philadelphia College of Osteopathic Medicine. His residency training was completed at Geisinger Medical Center in Danville, PA., followed by a postdoctoral fellowship in reproductive immunology at Methodist Hospital/Indiana University, Indianapolis, IN. Dr. Peters completed a second postdoctoral fellowship in reproductive endocrinology & infertility at Prentice Women’s Hospital at The Northwestern University Medical School in Chicago, IL. He is double board certified in obstetrics & gynecology and reproductive endocrinology & infertility. Despite his extensive background in endocrinology, he grew frustrated when his own wife presented a challenge for him in her menopausal struggles. He tried many traditional medical options for her, but none seemed to restore her premenopausal health. Through research and study, he discovered that a carefully formulated individualized regimen of bioidentical hormones, selective diet, nutritional supplements and exercise restored his wife’s vitality without the side effects of traditional synthetic hormone replacement. This led him to pursue yet another postdoctoral fellowship in Anti-Aging, Metabolic and Nutritional Medicine so that he could effectively offer other women and men these restorative methods in order to optimize their wellness and quality of life. He uses these same principles for himself. When Dr. Peters is not working in his clinical practice, he enjoys an active lifestyle of participating in triathlons, practicing Chinese martial arts, and dancing with his wife. They also both enjoy time with their children and grandchildren.